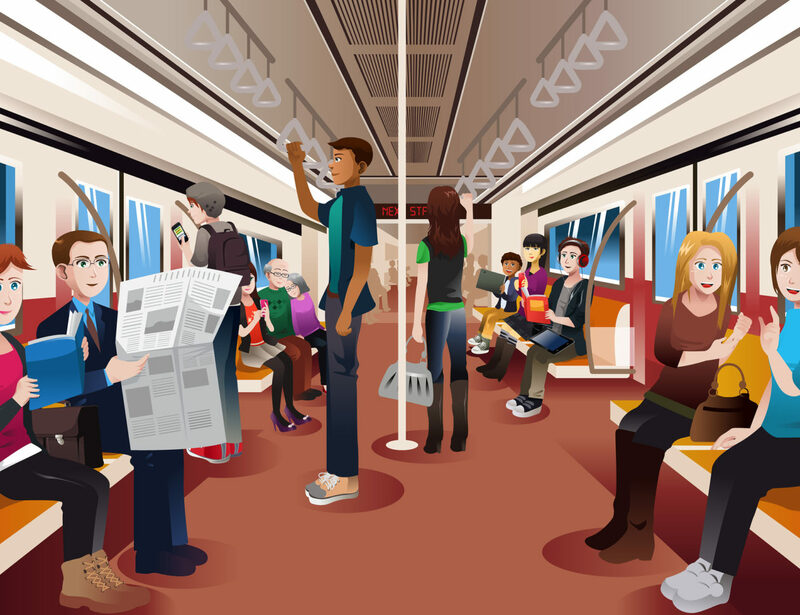 Sometimes it can be a dilemma when you are faced with a situation of standing in a moving train or bus. Oh Boy! It can be really irritating and scary when you have to reach over or around or even through someone just to grab the handle. The same is for keeping your balance without any assistance. Some people might feel that it is tough to stand firmly in a moving train, but really it is easy. It required certain techniques and agility to firmly be in a steady position. Keep in mind that the technique what you are going to see in this article will help you to perform the task on standing grounded in a motion-running train without hurting any individual or even embarrassing yourself. In most train journeys, it lies in the factor of consistency which implies right at the beginning or abruptness of a stop. Now this can a little bit tough, as you might not see any view or individual that is outside the train while the train is moving at a fast speed. So, how can you stand firmly in a MRT train? It is simple. Firstly, you must stand keeping your feet shoulder length apart and the feet must be diagonal to any side of the vehicle (it can either be perpendicular or parallel) and needs to face the direction of inertia. Now as the train is going to start, face yourself to the rear (however, you need to keep your feet at 45 degrees from the side). In addition, it will be better if you can turn your feet a bit outwards and try to bend your knees. Keep in mind that you must bend a little as you might not want to show that you stoop or look like a surfer. And the main trick here is that you must lean forward, so that you can make sure that you assign the weight right on the feet or its heels. The best thing you can do is try to become light on the feet and some certain flexibility on the knees and hips for countering any kind of later movement of the train. Try out this technique and see for yourself.